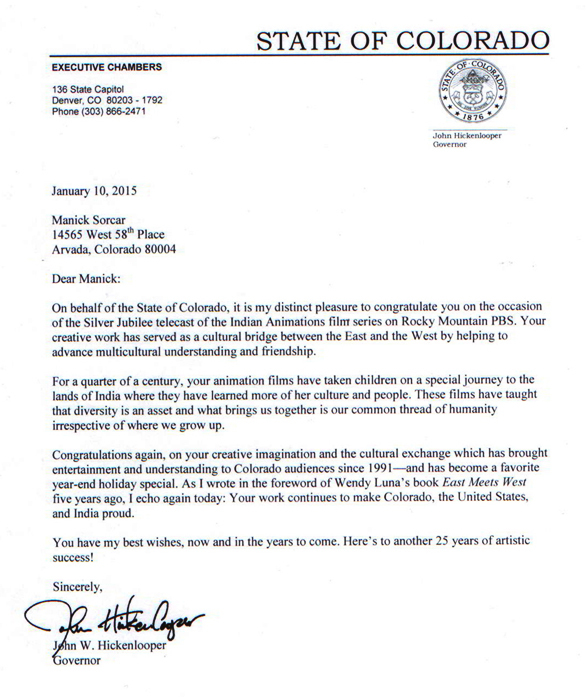 for the Silver Jubilee Event ..
John W. Hickenlooper, the Honorable Governor of the State of Colorado welcomes the news and sends the following Congratulatory letter with his best wishes for the historic Silver Jubilee Celebration of Indian Animation Telecast on Rocky Mountain PBS. The letter, dated January 10, 2015 (Silver Jubilee Celebration date) was received today. 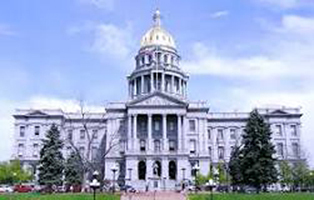 Manick sincerely thanks the Governor for the kind words and best wishes.